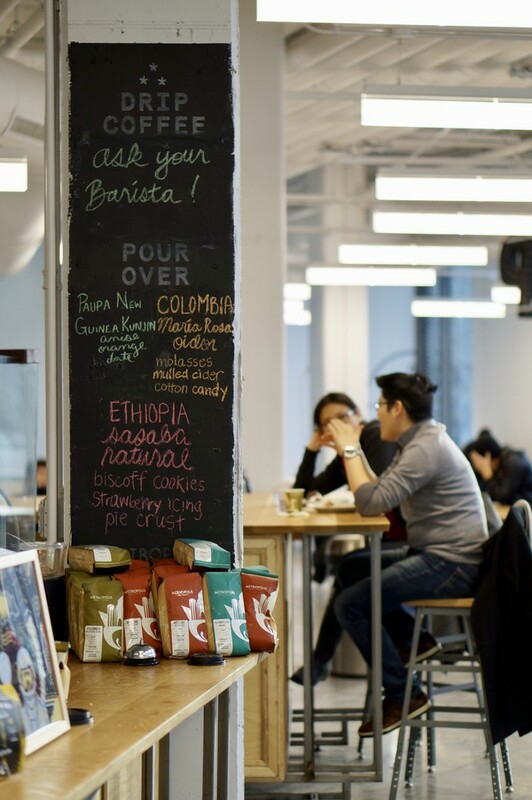 Members of the UChicago community are spoiled for choice when it comes to campus cafes. UChicago’s cafés are perhaps as eclectic and diverse as its student body—each one has its own vibe, and you’d be hard-pressed to find two cafés that are exactly the same. Our campus-wide coffee addiction is probably a result of the fact that we’re spoiled for choice. There is something for everyone: bougie meeting spots for econ bros, artsy spaces for hipsters, and quieter areas for hard-core homework sessions. If you’re looking to escape the oppressive silence of the libraries or the lonely solitude of your room, cafés are the best way to get some studying done in the company of your classmates. Located in a corner of the imposing Regenstein Library, Ex Libris* is hard to miss. People stop by to grab coffee in between classes, wander in in search of a study snack, finish P-sets in large and noisy groups, or discuss papers with TAs and professors. It offers packaged meals and snacks, baked goods, and a variety of drinks. Keep your eyes open for Ex After Dark, a quarterly installment during which the baristas invent creative drinks and desserts and serve them past midnight. With its dark interiors, worn couches, and student art, Hallowed Grounds*, located on the second floor of Reynolds Club, is one of campus’s most homey hangouts. 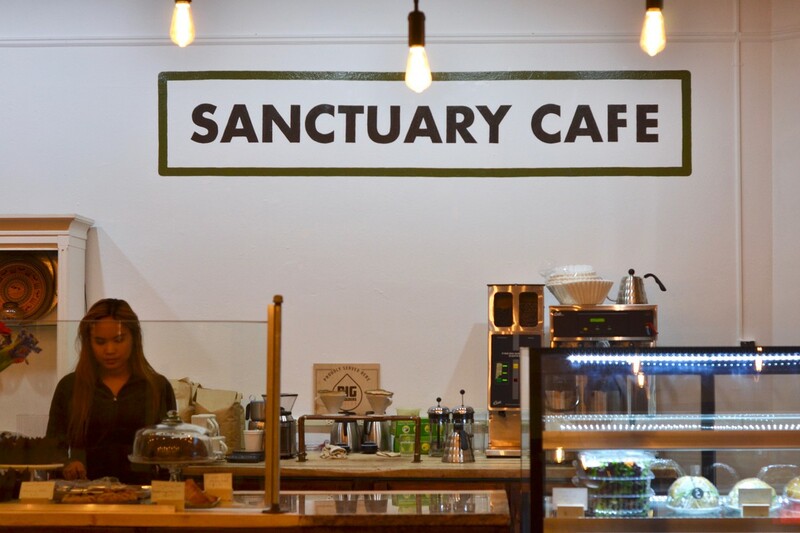 The baristas curate new and exciting music and the café hosts a range of packed meals from local eateries. The billiards tables make it a student hotspot, and its intimate couches are a good place to catch up with friends (or make some new ones). If you stay till 11p.m., you can snag free coffee and baked goods. Located in the basement of the Divinity School, Grounds of Being is where “the Gods drink coffee.” Put in mere mortal terms, this means it has the best cup of joe available on campus, and is surprisingly cheap! Don’t feel out of place among the grad students and notoriously attractive baristas: many undergrads stop by to enjoy its wide variety of Hyde Park fare. Wait for the Purple Haze latte in the spring: it’s the perfect combination of lavender and espresso for a sunny morning of classes and meetings. But be careful: this subterranean study spot is cash-only. Dollop is on the first floor of Campus North and reflects its minimalist aesthetic, and is always teeming with North’s preppy, athletic residents. With its floor-to-ceiling glass windows, Dollop is everyone’s favorite café for people-watching. It is expensive, but offers freshly made food and desserts—be sure to try the breakfast quiches, brown butter tea cake, and cold brew coffee. Head here during finals week for bottomless coffee! At Cobb Coffee Shop*, anything goes. Located in the basement of Cobb, its decor includes tinfoil hanging from the ceiling. It is a truly liminal space, with professors and students rushing in and out—perhaps on their way to class, or perhaps scared off by the eclectic music inevitably being blasted over the speakers. It offers packaged food from Hyde Park restaurants as well, but rumor has it they have the cheapest by-the-slice pizza on campus. You can also take a quiz online to find out which Cobb barista you are! Similar to Cobb, Common Knowledge Café—or Harper Café* to most—is located in a building where people are always shuffling in and out of class. It is an extension of the dreamy Hogwarts-like Harper Library, and many people refer to it as a more chill alternative to Ex Lib. Cozy recliner couches make it the ideal place for an afternoon nap, and the spacious tables are perfect for group studying. Plein Air is UChicago’s version of Treat Yourself, featuring a luxurious (and expensive) spread of drinks and food. It is almost always overflowing with people, especially over the weekend. To avoid the rush, take your order and sit at the Seminary Co-op next door, which has seating nestled inside rows and rows of books. Be sure to try the hazelnut beignets and brunch food, as well as the hot chocolate! Tucked away inside the Logan Center for the Arts, Café Logan* is frequented by artists, writers, and performers. It has a good mix of communal couches and intimate seating, and leads into a spacious courtyard that doubles as a performance space. It always has a rotating exhibition of art on its walls, and offers drinks, and both packaged and fresh food. If you ask nicely, the workers at Logan will let you customize the fresh sandwiches on the menu. True to its name, Quantum Café* has science-themed decor—most prominent of which is an illustration of Schrodinger’s Cat. It also offers fresh food, as well as a wide variety of drinks. Inside the swanky new Eckhardt building, it is a large and quiet space that is perfect for exam cramming. 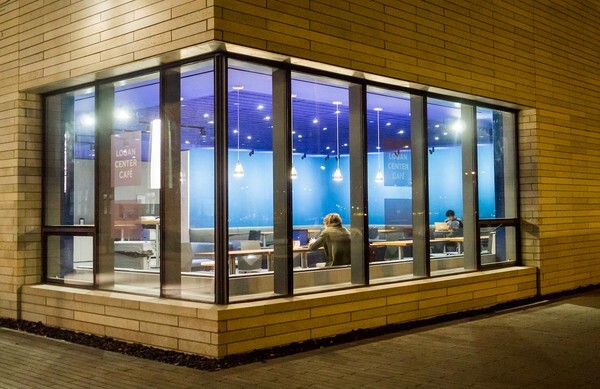 Though not really on campus, don’t miss Build Coffee, which moved into the Experimental Station just south of campus at 61st and Blackstone Ave this summer. The space is small but mighty: books and zines line an entire wall of the café, and artists and activists of all stripes flock to collaborate here. Though they lack the personality of other campus cafés, it’s worth noting that campus has two Starbucks* on campus: one in Saieh Hall, and another in the campus bookstore. They’ll provide an easy and convenient caffeine fix. Since it wasn’t open by print time, we can only speculate what the new Pret A Manger (in C-Shop, on the west side of Reynolds Club) will look like. You can expect typical Pret fare—soups, sandwiches, wraps, salads, and of course, coffee. As a plus, unsold food is donated to the community at the end of the day. Get there early and grab a gigantic, private booth to share with friends, but be warned that everyone else will be watching you like hawks, ready to jump at any chance to steal it.